Home dining food promo Go green, get 50% off!! Four Seasons Buffet & Hotpot: Southmall is opening this January 11, 2017! 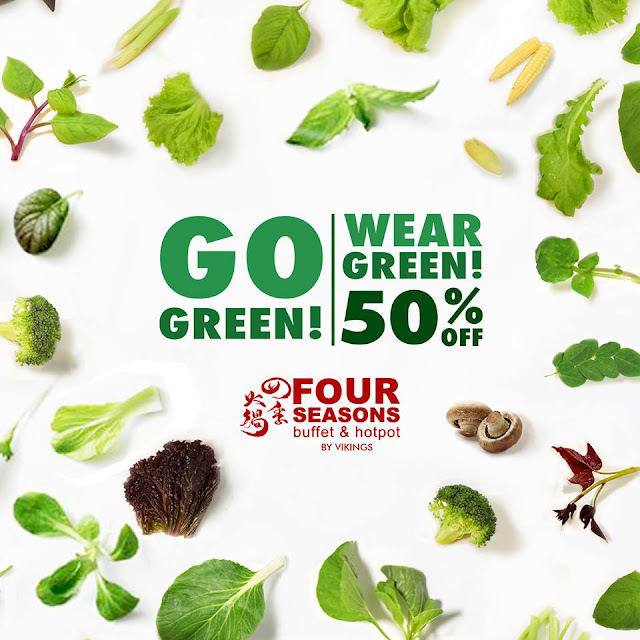 Tag your mates and friends because from Jan 11-13, 2017 they are giving diners who wear green a 50% discount!